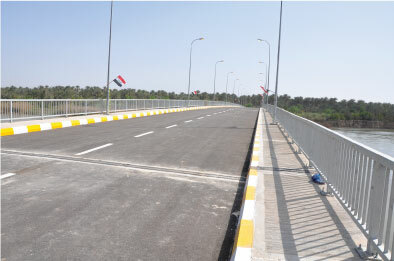 THEFAF ALRAFIDAIN Co. has been awarded the contract by Baghdad Province. 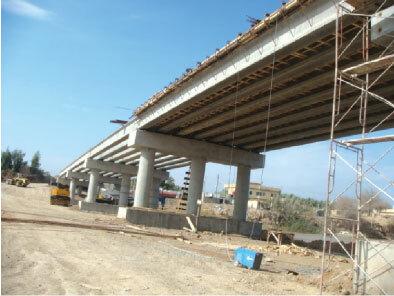 This project is located north of Baghdad and across Tigris River of about 285 meters long. The work included soil investigation and excavation for concrete piles casted in situ, casting reinforced concrete for pile cap, columns and cross beams, as well as supplying and installing precast Prestressed concrete girders according to the speciﬁed requirements.